It might seem crazy to advise our prospects and customers on the ways they can spend less money with us. But, we are aware that most companies didn't plan to spend money in this area and it sometimes comes as a surprise. Trujay is building technology that will reduce costs over time, but it all just isn't available today. The primary met hod we advise to lower your migration costs involves cleaning your data before we get our hands on it. If our team can focus on the data migration and not spend time cleaning simple data issues, then your costs with us (or any other vendor) are going to be reduced. In many of our projects we find the data is clearly outdated and given to us in a form that needs great effort to streamline into a data-friendly migration path. Reducing duplicates and removing bad data will not only lower your costs with us, but it will give your company a better view of your own database to help you plan out the future to make sure it gains in value over time. 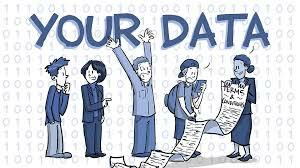 Please download our short guide on cleaning your data, and we wish you 'lower costs' in your coming migration project. If you would like more information or want to review details of a coming project, please complete our Free consult request form.